Welcome to our first exhibition in the Elements series. For this show we have brought together an eclectic selection of prints from our photographers on the theme of 'Water'. These photographs bring to life this colourless, odourless, tasteless liquid that is utterly vital to our existence. We are mostly water; more than ninety percent of our body is made up from water; almost three quarters of our planet is covered in water. For the developed world water is the stuff of childhood pleasures, summer holidays, winter wonderlands, fun and fantasy: beautiful in all its different forms. But for the developing world it's so often a luxury item and even in the 21st century, one in eight people still have no access to safe clean drinking water. We really hope you enjoy the exhibition and we look forward to sharing more of our photographers work with you in the near future. 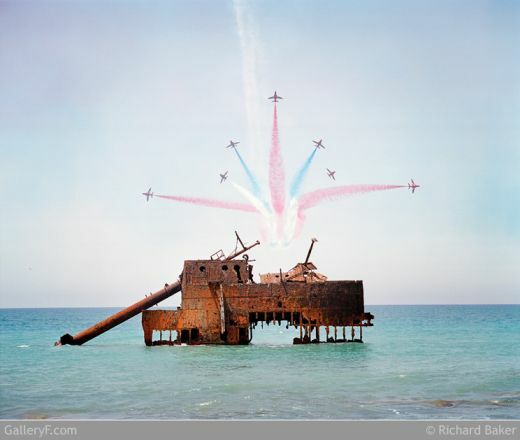 Richard Baker The Red Arrows in Cyprus.